Did you know that you can make your own almond milk in your Nutribullet? Doing so allows you to control the amount of sugars and salt that goes into it, along with the ability to choose your source of almonds. 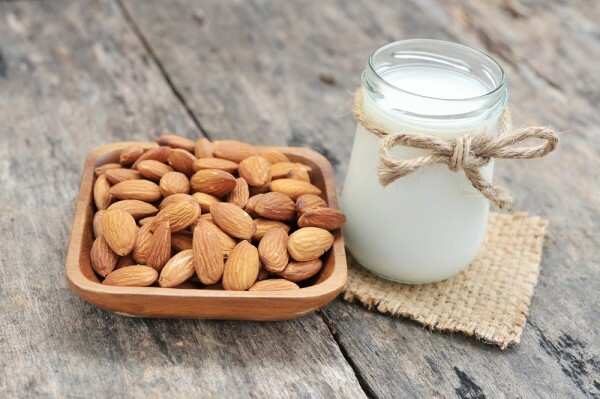 Here is how to make almond milk in your Nutribullet or other blender. 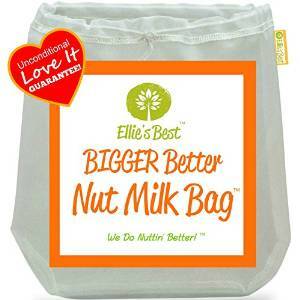 First off, you do need an additional piece of equiptment for this: A Nut Milk Bag (affilaite link). Some people subsittute cheesecloth, but I find that more difficult to use and many complain of grainy milk when they use it. So the bag really is the best thing and it isn’t too terribly expensive. 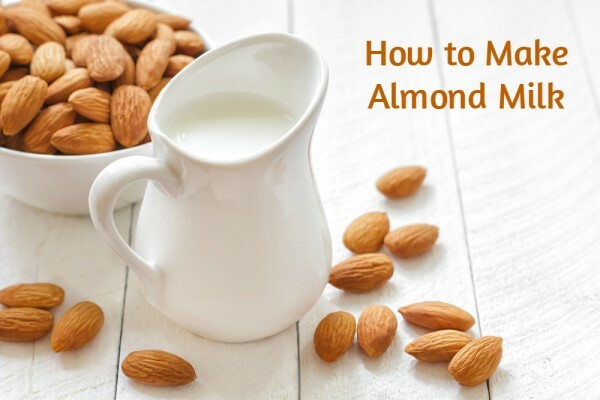 You also will be soaking the almonds overnight, which is essential, so plan on doing that the day before you actually need your almond milk. Sweetener choices and amounts can vary. 1-2 Tablespoons of honey, maple syrup, or agave works well. I like the lower end for less sweet. 5 dates or so can work, as can the natural sugar free sweetener Stevia (look on the package for amount suggestions) Go light at first if you don’t want too sweet of almond milk. You can always add more sweetener. You can also add a pinch of salt to bring out the nut flavor, but leaving it out is a nice way to control the sodium amount over the amounts put in commercial preparations. The amount of water used to blen dictates how thick the milk is. You might want to start with a lower amount, see how it comes out and add more as desired. I like my almond milk a bit on the thick side for use in smoothies, but thin for use on cereal. Store your almond milk in the fridge for up to 2-3 days. A sweetener such as 1-2 T honey, maple syrup, agave, dates (5 or so) stevia etc. 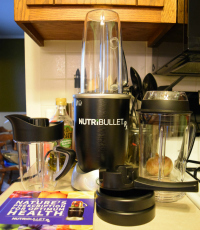 Add almonds to the Nutribullet with filtered water tot he fill line. Rinse the blender and lid. Have you made coconut milk with the Nutribullet 900? I am going to be making the almond milk this weekend. I plan on making coconut milk, but the recipes I’ve seen all use a blender and I was wondering if you had a recipe using the Nutribullet. Thank you. I have not made coconut milk, but I don’t see why you couldn’t do it in the Nutribullet. I would just use or adapt a blender recipe for it. If you do it, come back and let me know how it goes! I’m curious! I have made it with the 900, reblending as needed. But I prefer the RX for it. Plus, one reader recently reported a problem making it with the 900. If you have a regular blender, you can make it in that as well. I tried making the almond milk and found the milk was very hot after 5 minutes. Is this expected? Do you know if the heat destroys the nutritional elements of the milk? It was really tasty! It is normal for it to get warm. That will happen with any blender, whether Nurtibullet or not. I don’t think it harms the nutrition since it isn’t heated for a lengthy period. Simply refrigerate afterward. 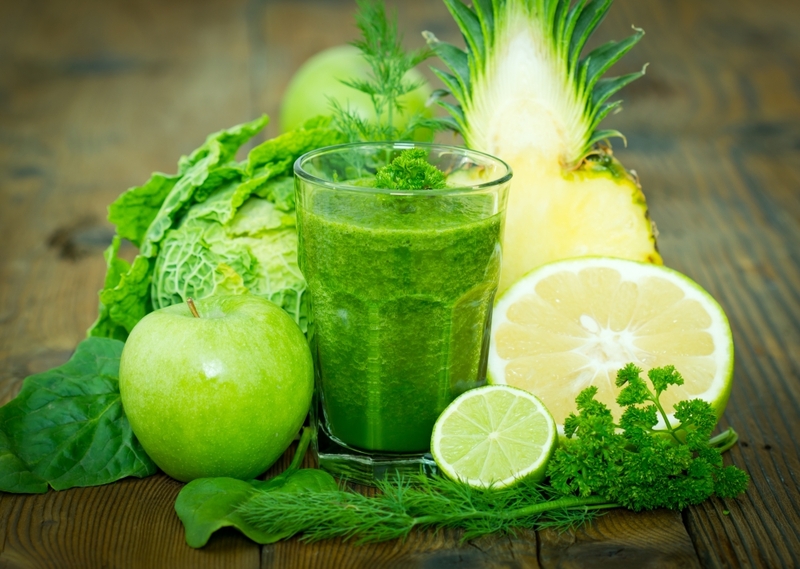 I tried this and my nutribullet shut itself off after 2 minutes of blending. It hasn’t turned back on yet. I have a 900 series. 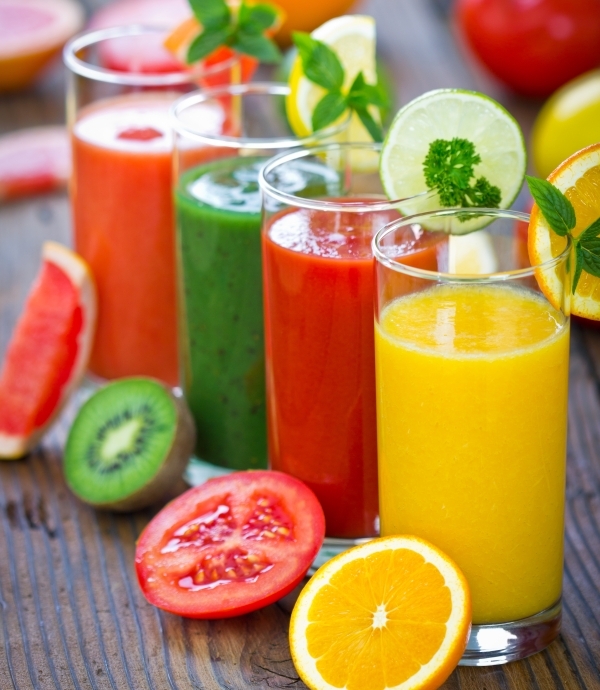 You may want to specify which type of nutribullet you have so that people don’t go breaking theirs too. I have made almond milk with both the 900 and the RX. Reblending as needed after it times out. It really should not break the 900. Hi, what size cup are you using when you say add water to the fill line? The small cup or the big one? Most recipes are formulated for the large cup, but regardless of cup size, the standard is to always add liquid to the fill line if using a Nutribullet.